Adventure doesn't come with a road map. Herberger delivers another successful coming-of-age novel with protagonist Bets at the helm. The book delves into politics, racism, and the notion of patriotism... add to that the excitement and mood of the United States in the late '60s and readers of all ages will find the story interesting and thoughtful. This is a heartfelt coming-of-age tale set during a turbulent time with a protagonist who feels both real and relatable. A captivating story... The reader will feel an instant connection with Bets, a dynamic and vulnerable heroine. ​Herberger effortlessly immerses his readers into the sounds, troubles, and beauty of 1969... an adventure that will have you sitting on the edge of your Volkswagen seat right next to Bets. Paint Your Own VW Here! 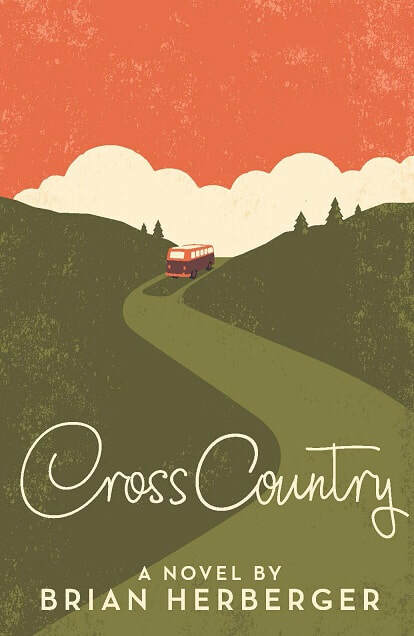 Joining my mailing list is your ticket to preview chapters and the latest Cross Country news. Having her father away in Vietnam wasn't easy for Bets, but she soon discovers having him back home comes with its own set of problems. When a letter from her friend Emmie arrives along with a ticket to the Woodstock Music Festival, Bets has a tough decision to make. Should she stick it out back home or leave her problems behind for a cross-country adventure? There's a lot happening in 1969, and figuring it all out is complicated. The people Bets encounters all have their own perspectives, each changing the way Bets thinks about the war in Vietnam, the problems America is dealing with, and her own problems at home.